Develop synergies while leaving the startup a strong autonomy: this is often the thesis of companies or large groups when acquiring a startup. A gradual and virtuous integratio. The goal is to keep the dynamics of the startup and allow the startup to maintain its agility, despite the change of control. More often than not, these external growth operations are implemented by companies or large groups targeting startups operating in the same market or on a very close sector. The challenge is to equip yourself with an agile vehicle to secure its positions on the market, or address a new market. At the same time, these operations can respond to issues of transformation of the company and the acculturation of its collaborators to digital or agile methods. On the startup side, the affiliation to a more established company makes it possible to foresee new development opportunities or even a change of scale. Before closing, the strategic alignment between startup and corporate seems to be obvious. The good intentions expressed during the phases of discovery and negotiation between startup and corporate until the signature of the deal are unanimously respecte. The startup will benefit from the assets of the group (financial means, expertises, customers base, distribution network…) while preserving during the first years its autonomy. Thus, the startup will avoid being suffocated by the bureaucracy. So the scheme seems to be ideal. The operational translation of it is, on the other hand, more complex. We were able to observe a number of cases of acquisition of startups with various profiles (from mature and already international startups to companies still in boot). And it seems to us that the modalities of integration are always very specific. However, a several elements can be better anticipated and structured by the acquirers to ensure a good integration. A large part of the success of a good integration seems to be played before the closing. Often, post-acquisition synergies are well identified and quantified upstream. But if the managers or employees concerned within the group are not involved in this stage of negotiation (most often for reasons of confidentiality), the transition to execution after closing can quickly be problematic: the projections carried out collide with operational realities, the objectives and timetable for implementation are revised, and the business plan negotiated during the deal becomes rapidly obsolete. Our feedback also shows that barriers to integration can come from cases of internal competition. 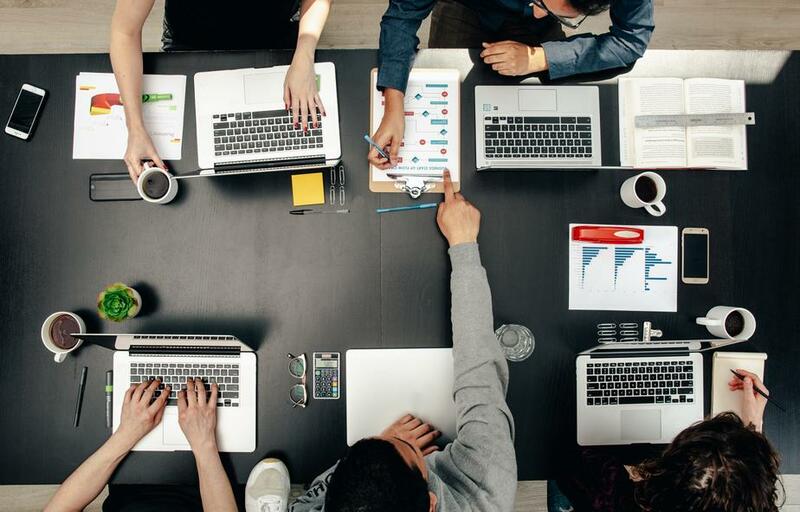 The arrival of the startup can be seen as a threat by project managers or business unit directors, addressing issues similar to those of the startup. In many cases, conflict between projects has not been sufficiently clarified, and this internal competition has negated the hopes of synergies between corporate and startup. These scenarios are all the more problematic when the business plan is used to calculate part of the remuneration of the managers of the startup (earn-out). In many cases, calculation formulas do not correctly integrate the changes in the integration path. For example, if synergies are activated with a one-year delay, thus shifting the associated revenue forecasts, the earn out plan may lapse. The corporate must then find other motivating elements to retain the leaders of the startup within the group. Or be prepared to renegotiate the incentive agreements with the startup, step rarely to the advantage of the group. The purchaser generally wishes to retain the managers of the startup for several years and to maintain at home a high level of motivation. If part of their income is linked to synergies with the group, but they do not control the drivers, the issue can quickly become a source of tensions. Another example is that of the startup bought by a corporate on the basis of a too ambitious business plan. The business was great to justify a a good valuation of the startup during the negotiation, and the corporate sets up an earn out clause to secure itself. After a first year, everyone understands that the goals will never be achieved. The corporate must then arbitrate : re-negotiate the agreements or take the risk of the early departure of the managers of the startup. Some corporates thus favour the staggering of the upfront payment over several years to retain the executives. The payment is made every year provided that the officers are always on board. But this is not enough to interest leaders in the development of synergies. Finally, the implementation of synergies also has a lot to do with the respective profiles of the startup and corporate, as well as those of their executives. A compatibility analysis allows to identify early the chances of success and risks of failure, and allows to adapt the operational device accordingly. The real strategic interest of the operation for both parties. Finally, we observe that some groups have capitalized on their feedback on their first buyback operations to structure their M&A tech or investment approach. Some corporate venture funds are thus born from this observation, the corporates also considering the taking of minority shareholding as an alternative more suited to certain situations than taking control. Read also how to Check the “cultural fit before executing M&A deal. Newer Post Corporates / Startups : check the “cultural fit” before executing M&A deal Older Post Attend the next Techmind Café in September !